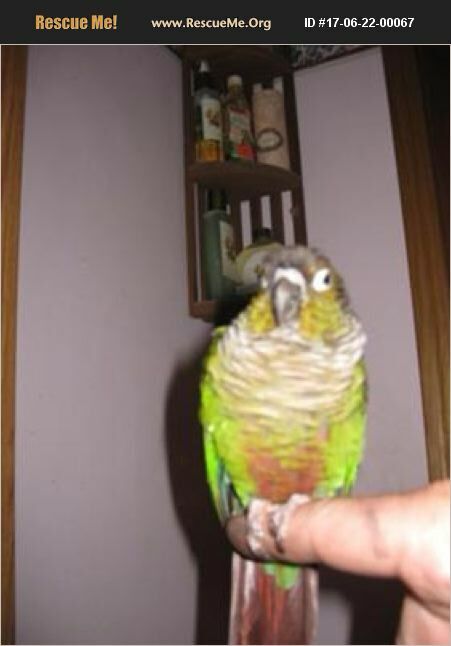 Maryland Pet Bird Rescue View other Birds for adoption. I just don't have the time. Almost 2 year old was hand Fed.. Believe to be a Female.not DNA. Very quiet breed never heard a loud noise.great health.will bite when picked up. Will need work with but loves to fly thur the rooms of your home and then you can usually pick her up.